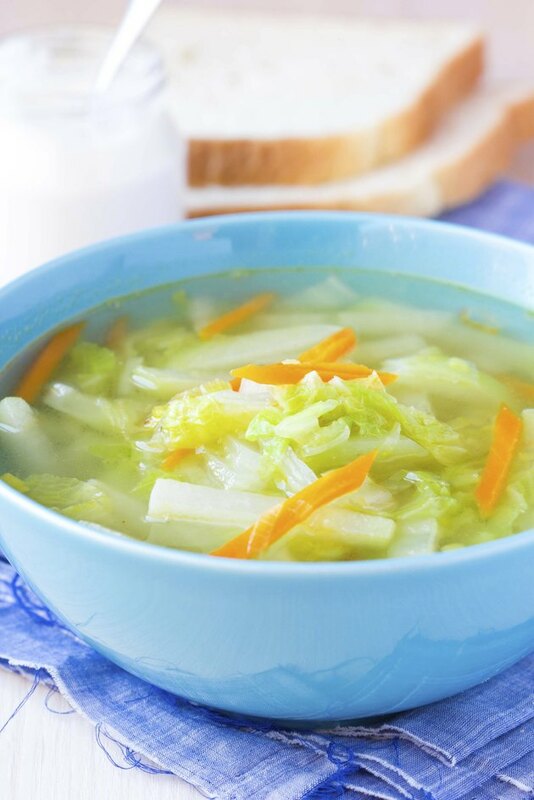 If you've heard of the cabbage soup diet, you may be under the impression that cabbage soup is low in calories. In some cases this is true, but the calories in cabbage soup can vary considerably depending on what ingredients you use to make it. Lower-calorie versions make good starters for your meal, while higher-calorie versions may be better used as a main dish. A basic cabbage soup recipe made with cabbage and other nonstarchy vegetables, such as tomatoes, green beans, zucchini and spinach, has about 45 calories per serving. Use cannellini beans, tomatoes, carrots and cabbage and your soup will have about 164 calories per serving. A soup made with cabbage, macaroni, cannellini beans, onions, chicken broth and spices has about 310 calories per serving. If you prefer meat in your cabbage soup, you can replace half of the beans with half a pound of lean turkey breakfast sausage for a soup with about 120 calories per 1-cup serving. Lovers of creamy soups can mix cabbage, skim milk, a little yogurt, potato, onions and spices for a dish with the same 120 calories per cup. Another low-calorie option is a soup made with cabbage, celery, onions, turnips, carrots, vegetable broth, a ham bone with a small amount of meat on it and spices, which has about 63 calories per serving.